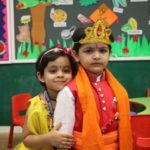 On the occasion of Janmashtami , the Playgroup at Seth M.R. 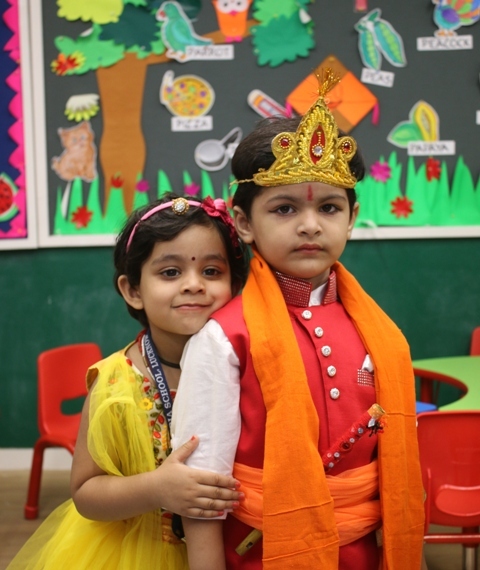 Jaipuria School, Lucknow celebrated the festival from 16th to the 18th August, 2017.The toddlers dressed as Radha and Krishna celebrated the day with great zeal and pomp. The Playgroup classrooms were colorfully decorated. There was dance and music…… the little ‘krishnas’ danced with the ‘radhas’ . The tiny tots painted `Matkis’ and watched clippings of short stories based on Shri Krishna’s childhood instances.The tiny hands got busy with playdough and made Krishna dolls. The kids had a joyous celebration at school. Categories: Advertisements, Jaipuria School, Media Coverage, News & Events Leave a comment ?